Avda. M. Angeles Ascanio Cullen, Nº 26, Golf del Sur, San Miguel de Abona. Timeshare at the Fairways Club is situated in the prestige Amarilla Golf and Country Club, the club itself offers the perfect get away for a sun filled holiday, ideal for couples or familys. 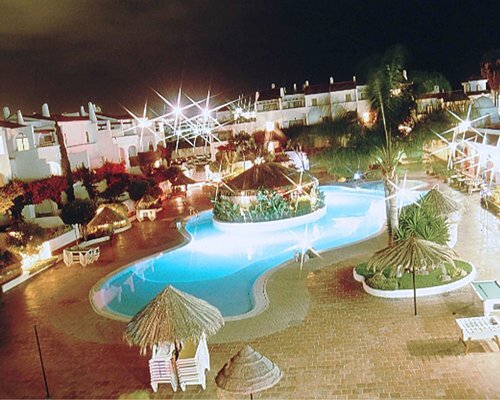 The resort is situated on the south shores of Tenerife and is ideal for those looking for peace and relaxation; yet close enough to all the excitement of Playa de las Americas were you can find an abundance of nightlife bars and restaurants. As an owner at the Fairways you will have access to the golf course at the Amarilla Golf and Country Club, or simply enjoy the crystal clear water glistening in the tropical sun at this fantastic family resort. Learn the art of relaxation by getting pampered with a massage or nail treatment at the on-site spa, having a cocktail while enjoying nightly entertainment or taking a dip in the large heated swimming pool.In the daytime you can learn to scuba dive or join in with the many themed barbecues, and the little ones have their very own children’s club for exciting new adventures. Smartly furnished, spacious accommodations give you the feeling that you're home away from home. All the apartments offer impressive views of Mount Teide, Atlantic Ocean or swimming pool. 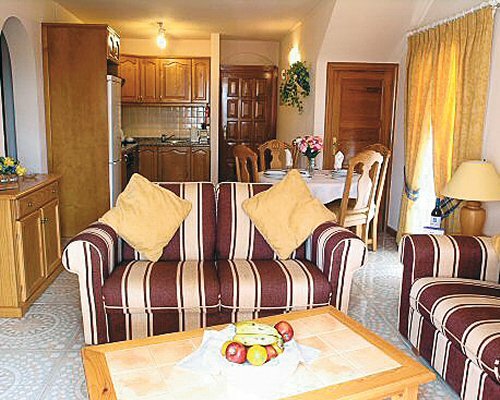 Accommodation is available in one, two or three bedroom dwellings and are equipped with full kitchens and satellite TV. All the apartments are spacious and beautifully furnished giving you that feeling that you are home away from home. The Fairways apartments all offer stunning views of Mount Teide, the swimming pool or the Atlantic Ocean. Units are available in 1, 2 or 3 bedrooms and equipped with full kitchens and satellite TV.